The Ghana Football Association (GFA) has taken "all the right steps" in reacting to allegations of match-fixing, it has been claimed. The association has called in police in the wake of claims of corruption that follow a media sting by The Daily Telegraph and Channel 4's Dispatches programme. 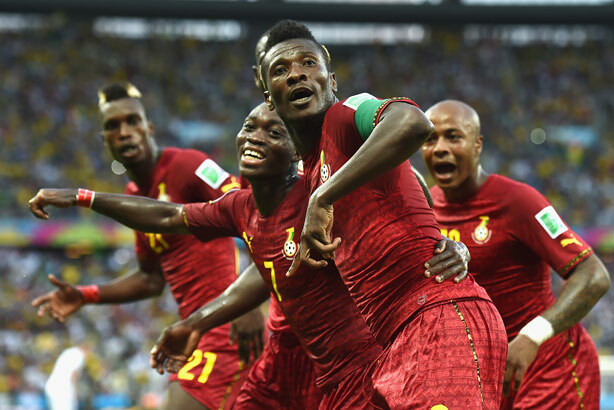 The programme, due to be aired tonight, is expected to allege that a Ghanian club official and FIFA agent told undercover reporters that they could rig matches involving the national team. Following the allegation, the GFA also reported the matter to the FIFA Confederation of African Football, and issued a statement stating its position on the matter. Praising the nature and speed of the GFA’s response, Pitch associate director Drew Barrand said: "The Ghanian FA were wise to call in the police and have taken all the right steps." He pointed to a statement that pledges to "seek strong sanctions" if the claims are found to be true as showing the GFA had "taken what steps it can" for the moment. The Ghana Football Association (GFA) has requested the Ghana Police Service to investigate two persons for misrepresenting the GFA with an attempt to defraud. The two were also allegedly filmed claiming that they would bribe GFA officials to ensure that the contract is signed. We wish to state that the GFA did not sign the contract as we waited for the response from the legal committee and that the two gentlemen did not make such corrupt offers to the GFA or its officials. We wish to assure the public that we will not tolerate such misrepresentations and we will seek strong sanctions against such individuals if such claims are found to be true. Meanwhile GFA president Kwesi Nyantakyi, who has been named by The Telegraph as being part of the process, has denied in an interview with the BBC World Service that he was aware of any potentially corrupt practices. "The GFA issued the statement quickly and they did not commit themselves until they know the facts, so now there is nothing more for them to say," added Barrand, who said the next step would be to work with police when it comes to releasing findings from the report. The allegations, which do not involve World Cup matches, come in the wake of recent accusations made by The Sunday Times alleging corruption and bribery by a former Qatari FIFA official in the process that led to the award of the 2022 World Cup to Qatar. Strenuously denied by the Qatar bidding committee, the claims have prompted sponsors to speak out on the matter. "At a time when the world’s eyes are on its flagship tournament this is yet another negative point for football, highlighting some of the supposed murkiness around it at the moment," Barrand added.